It's becoming harder to separate the wheat from the digital chaff. How do we distinguish misinformation, pseudo-facts, distortions and outright lies from reliable information? In A Field Guide to Lies, neuroscientist Daniel Levitin outlines the many pitfalls of the information age and provides the means to spot and avoid them. 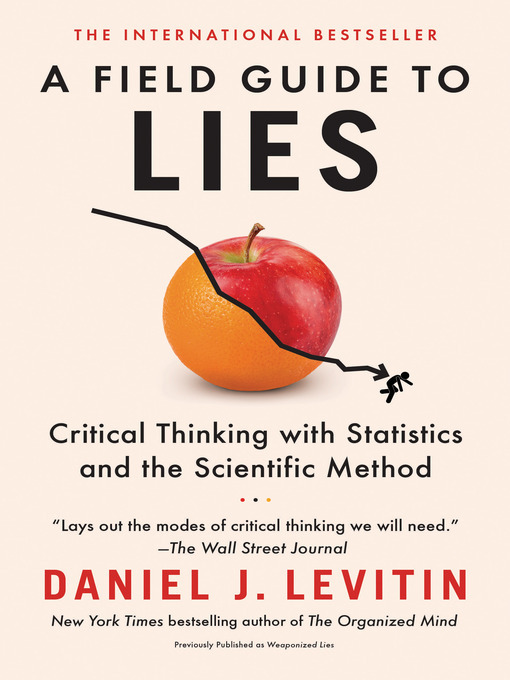 Levitin groups his field guide into two categories—statistical infomation and faulty arguments—ultimately showing how science is the bedrock of critical thinking. It is easy to lie with stats and graphs as few people "take the time to look under the hood and see how they work." And, just because there's a number on something, doesn't mean that the number was arrived at properly. Logic can help to evaluate whether or not a chain of reasoning is valid. And "infoliteracy" teaches us that not all sources of information are equal, and that biases can distort data. Faced with a world too eager to flood us with information, the best response is to be prepared. A Field Guide to Lies helps us avoid learning a lot of things that aren't true.